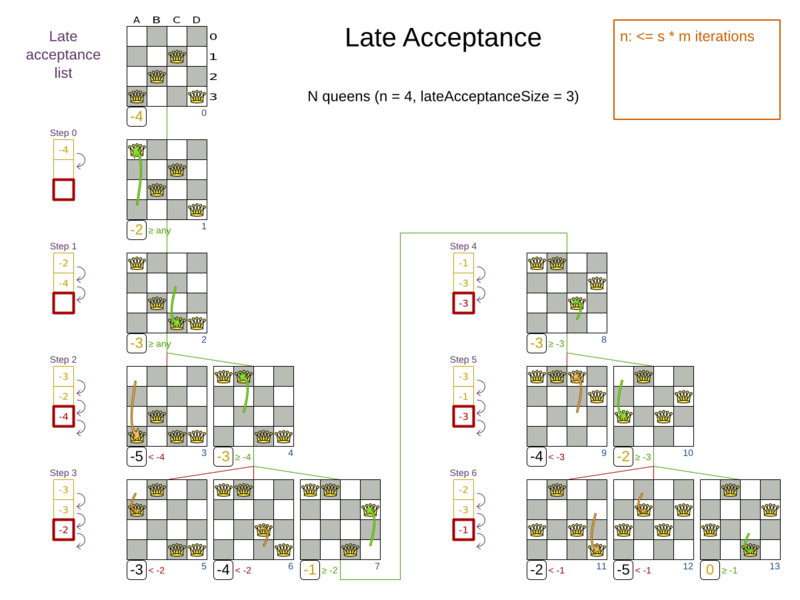 Late acceptance also evaluates only a few moves per step. 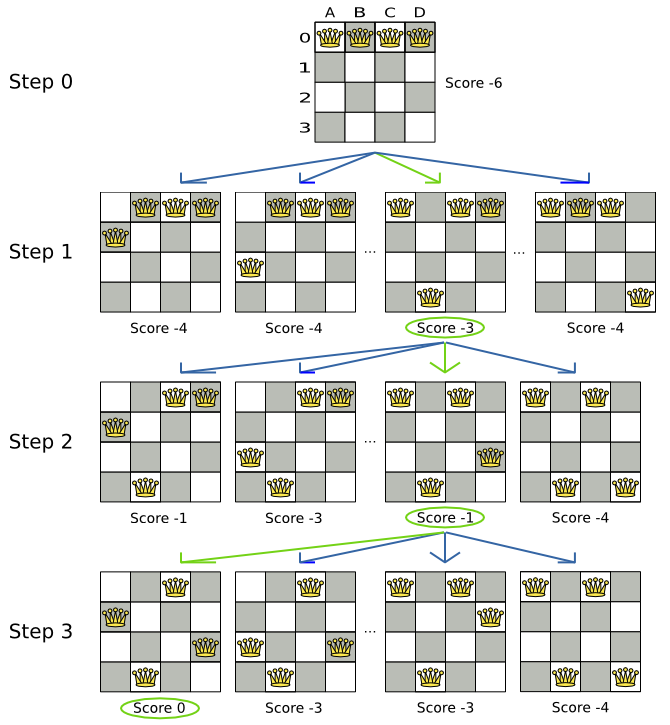 A move is accepted if it leads to score that is at least the winning score of a fixed number of steps ago. 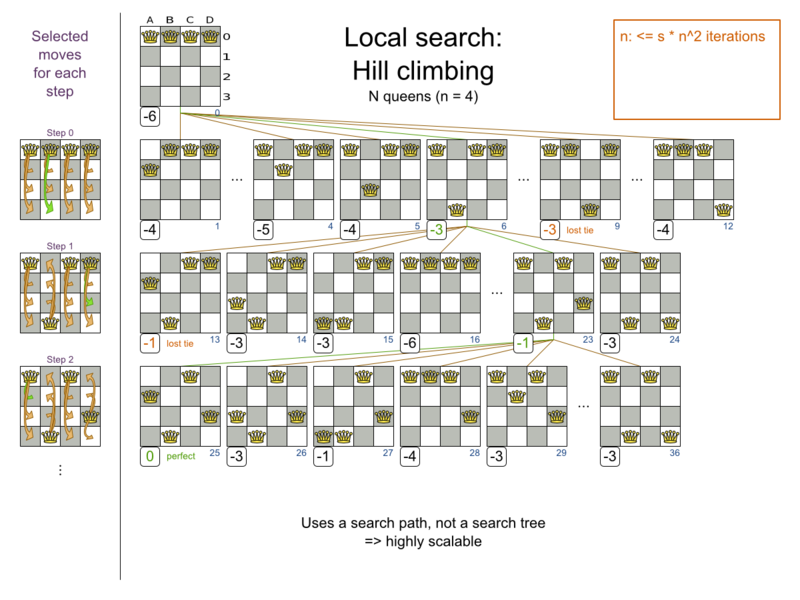 Of course OptaPlanner implements better local searches, such as tabu search and simulated annealing which can avoid these problems. We recommend to never use a hill climber, unless you're absolutely sure there are no local optima in your planning problem. 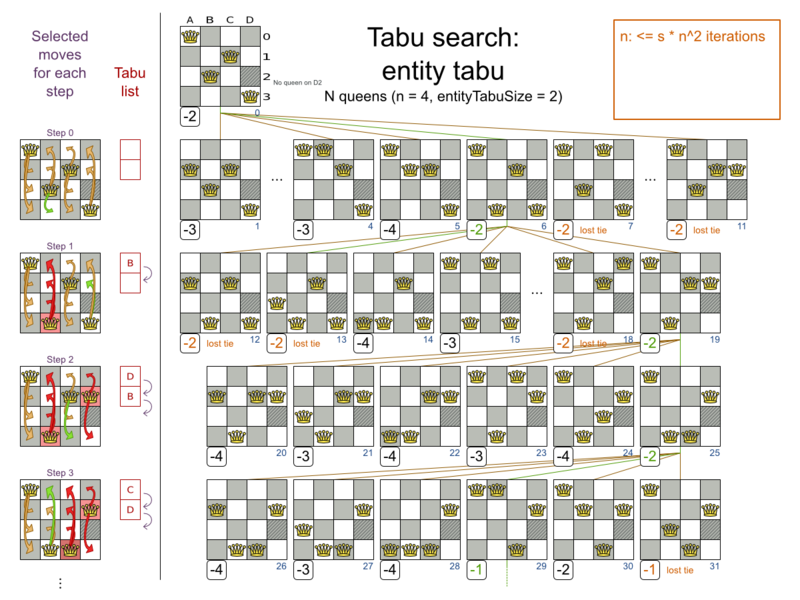 Planning entity tabu makes the planning entities of recent steps tabu. For example, for N queens it makes the recently moved queens tabu. If you pick a too small tabu size, your solver can still get stuck in a local optimum. On the other hand, with the exception of solution tabu, if you pick a too large tabu size, your solver can get stuck by bouncing of the walls. Use the benchmarker to fine tweak your configuration. Experiments teach us that it is generally best to use a prime number for the move tabu, undo move tabu, entity tabu or value tabu size. A tabu search acceptor should be combined with a high subset selection, such as 1000. 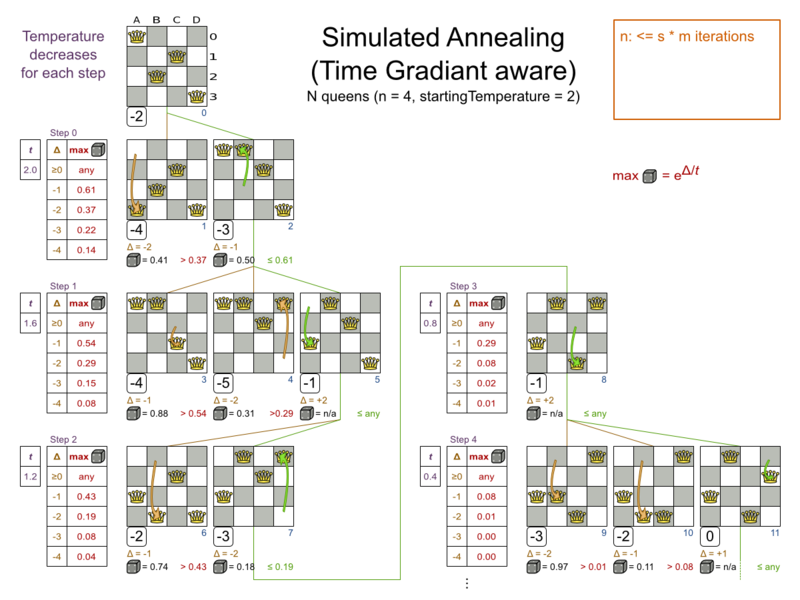 A simulated annealing acceptor should be combined with a low subset selection. 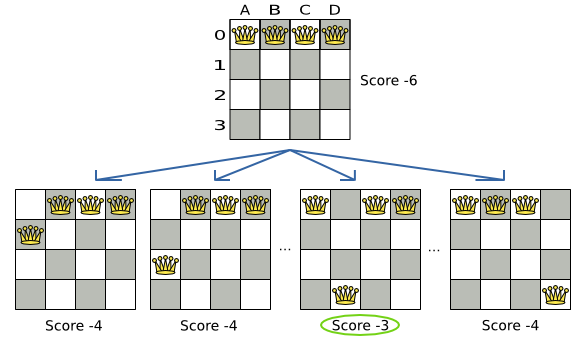 The classic algorithm uses a acceptedCountLimit of 1, but usually 4 performs better. 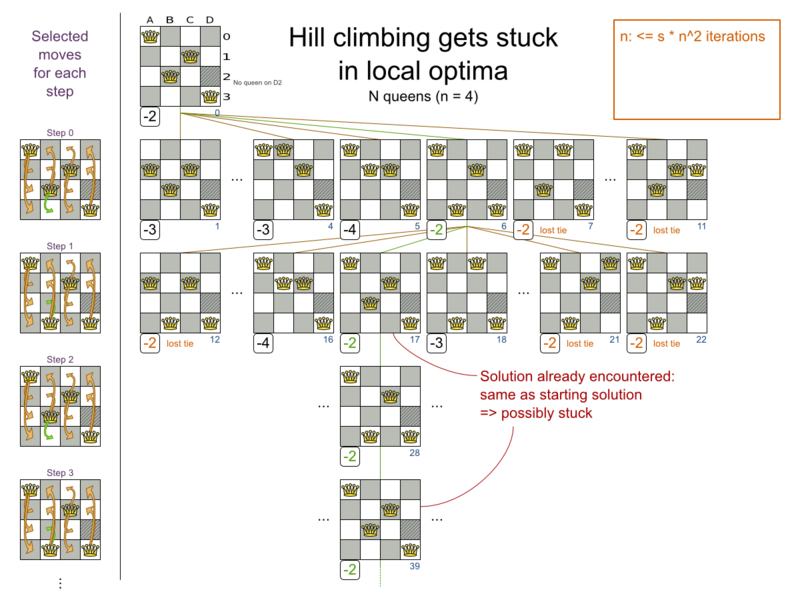 Unlike the n queens problem, real world problems require the use of subset selection. Start from an acceptedCountLimit that takes a step in less then 2 seconds. Turn on INFO logging to see the step times. Use the Benchmarker to tweak the value.